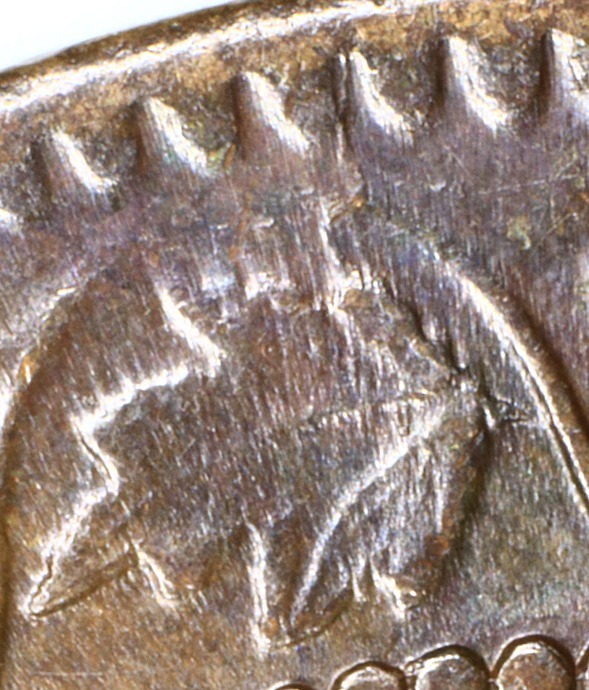 Judging by the amount of wear this die underwent prior to its retirement, one can only conclude that it must have had a very high output, multiples of the average for dies in this period. 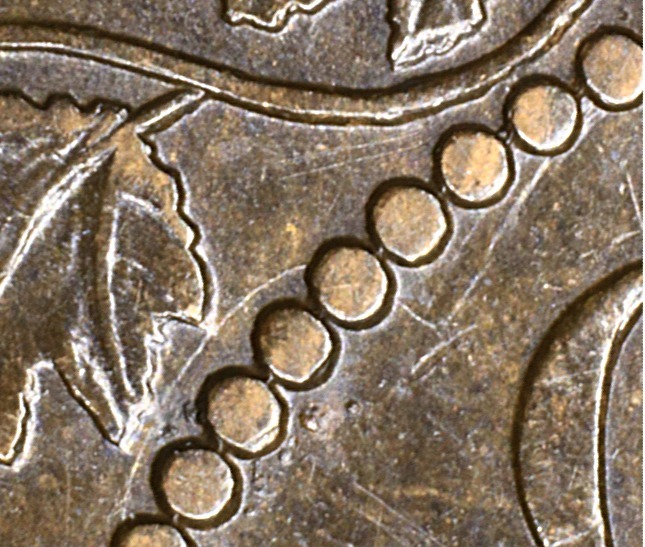 The fact that E10 ultimately reached a state where several of the outer vine loops wore through can make identifying it very challenging. 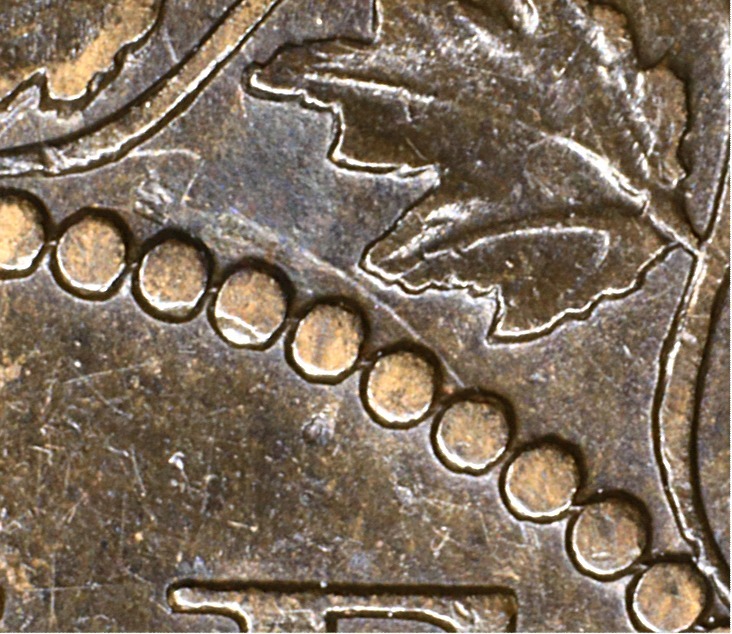 It is important to bear in mind that while some Reverse Groups display a break in Loop 2 (that had been passed on to them by the broken reverse punch), dies in those groups don't simultaneously have other broken vine loops. 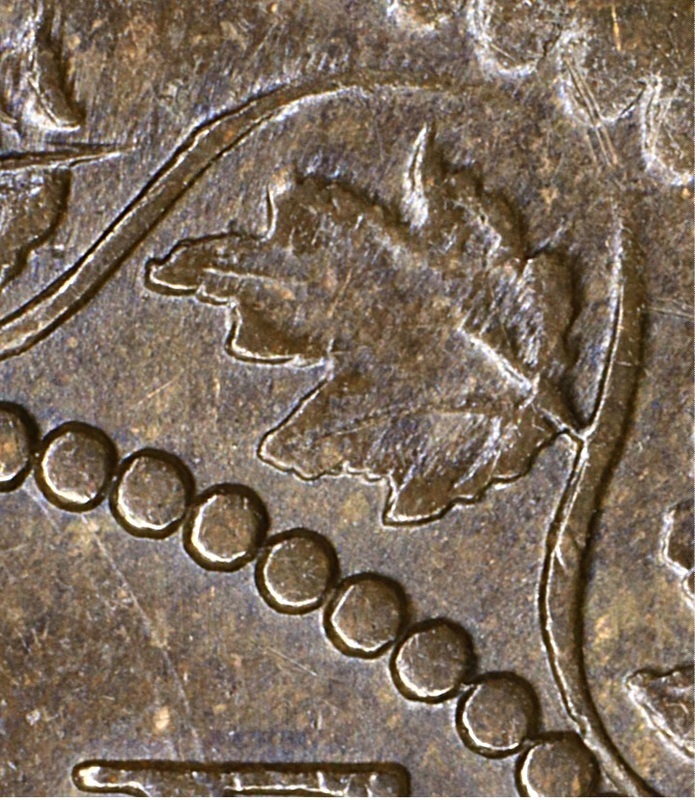 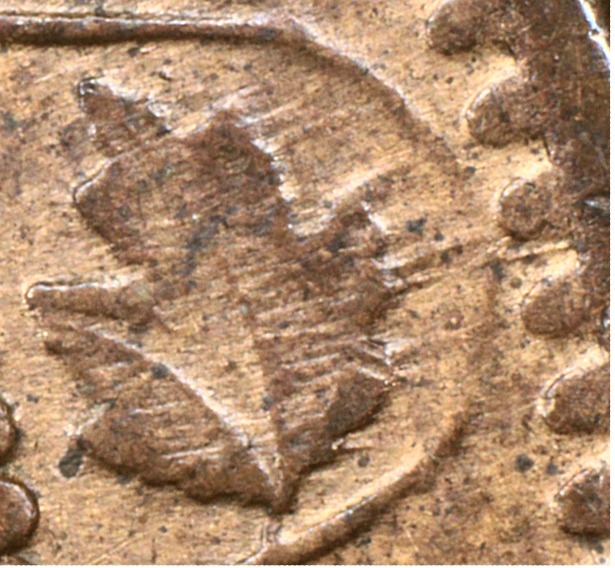 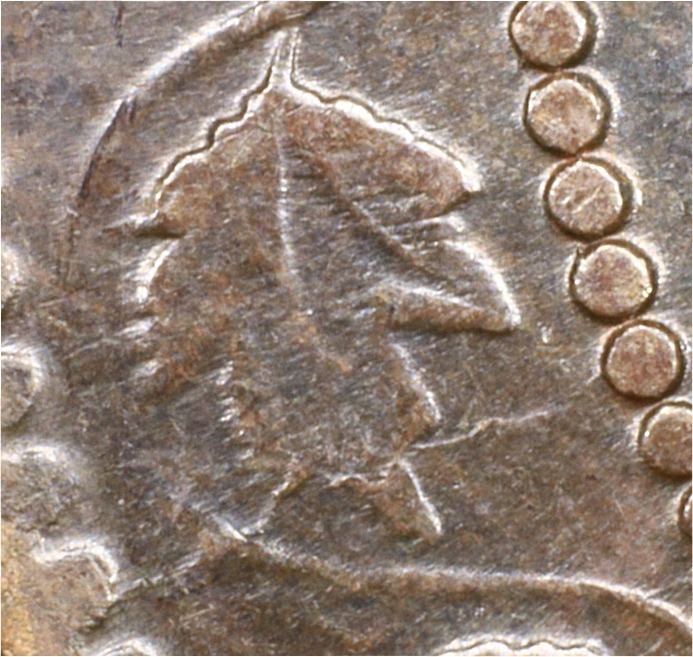 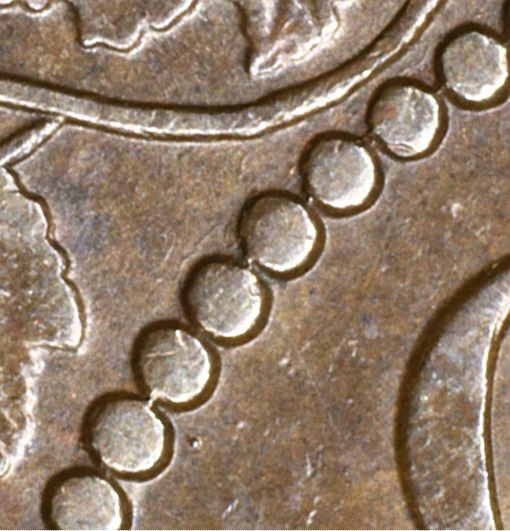 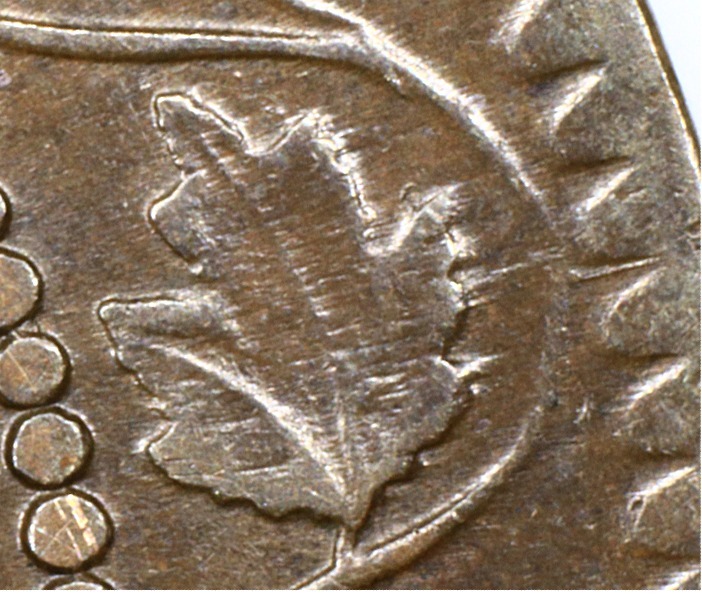 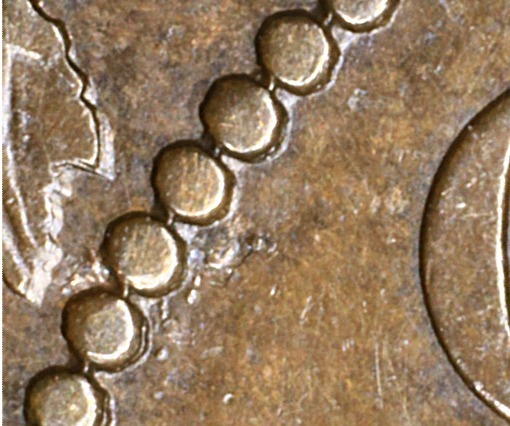 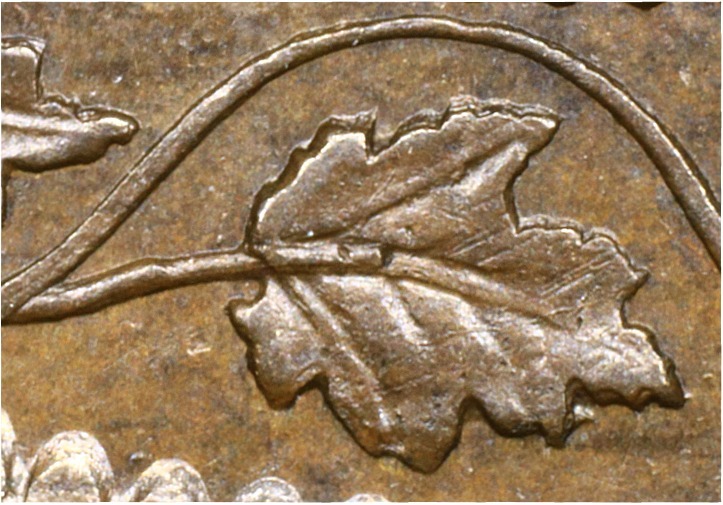 So, the broken vine loops on coins from late states of E10 are caused by die wear, not breaks in the design on the reverse punch. 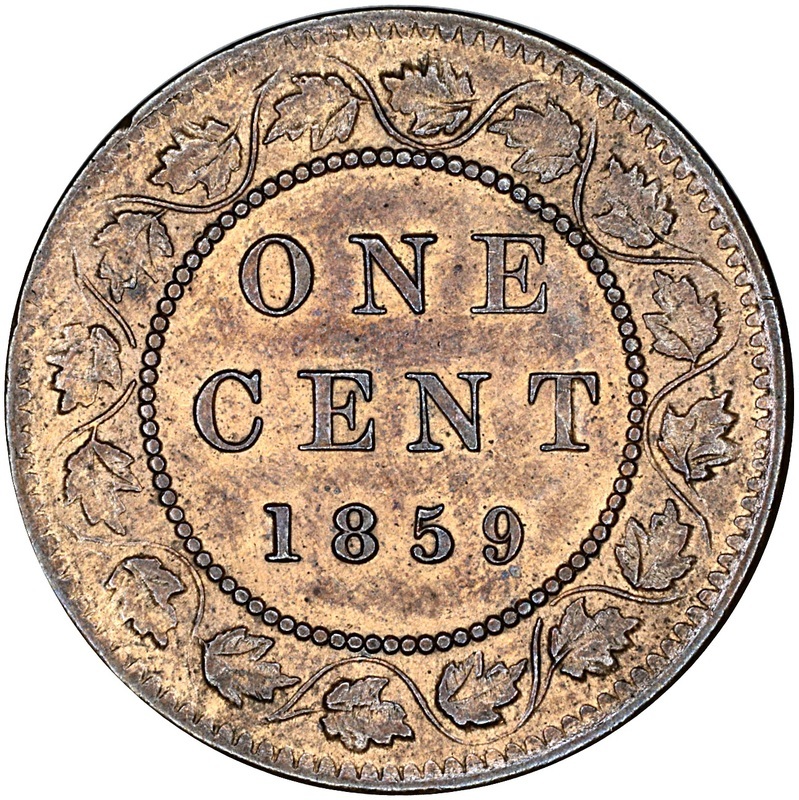 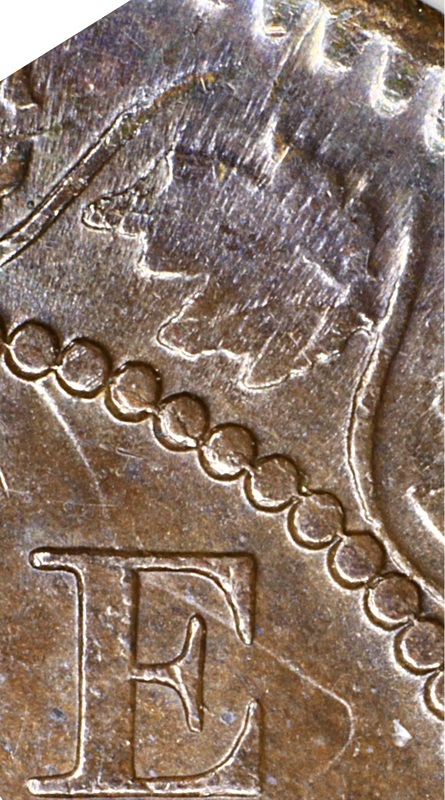 The late states of this die were formerly considered a separate die, E21, which has now become a reserve number.